Use TB2QA7T to reference this item. This coin was a gift from Surteb. Thank you very much. We would like to see it live near Lisbon in Portugal. This coin is being released to help increase awareness about bike safety. Please remember to be aware and watch for bikes on the road. This coin is being released in memory of Tod Phillips--Tod of Team Rod and Tod w/KAboom...the Cachestalkers. Tod died in a motorcycle accident on when a truck turned in front of him and he tried to avoid it. Unfortunately Tod was wearing a novelty helmet that was not DOT approved. A proper helmet may have saved his life. Tod will be fondly remembered by all who knew him. 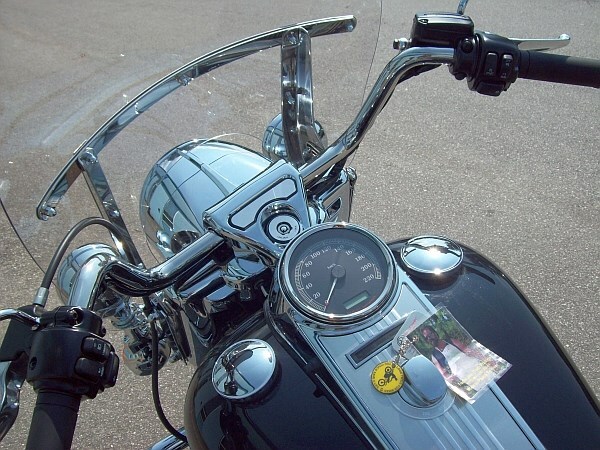 Took the Todie Joe coin for a smooth ride to Vancouver on an '09 Road King... I'm sure he would have approved. RIP Todie, and to all my fallen rider friends. Will move this along soon. My husband was in a motorcycle accident as well, but luckily he recovered from his injuries, but has not been on a bike since. sorry, left it in wrong geocache!!! very sad story about tod.